Sjoerd is part of the Excellence in Innovation team at the DSM Innovation Center. In this role, Sjoerd works with the Top 50 Innovation projects across DSM and supports its (internal) ventures portfolio, and the Emerging Business Areas. 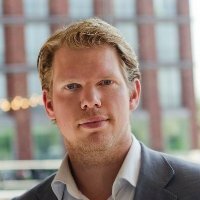 Before joining DSM in 2013, Sjoerd held a new business development position at a research institute and worked as a strategy consultant in the chemical, telecom and healthcare industry. Furthermore he co-founded 2 start-ups, and is involved in the start-up scene as angel investor. Added value to a team: keen eye for value and scalability propositions, business modeling skills and network.